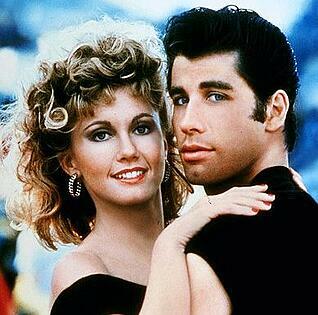 Danny and Sandy. Johnny and Baby. Noah and Allie. Who can resist a good summer romance? And now that summer is here, it got me thinking -- there are a lot of things that work best in pairs, whether you're referring to the ones you find in cheesy romance novels or summer blockbusters like Grease, Dirty Dancing, or The Notebook -- or everyday pairings like toothbrushes and toothpaste, washcloths and soap, or sneakers and socks. They just, well, "go together." And, doesn't the same thing hold true for marketing? The best marketing efforts integrate channels, tactics, and techniques, and all for the better. Don't believe me? Check out these 10 marketing components that are only enhanced when joined by a compatible marketing counterpart. Even better news? Just like most of the summer "flings" you see in the movies, these romances usually turn into long-term, lasting relationships. 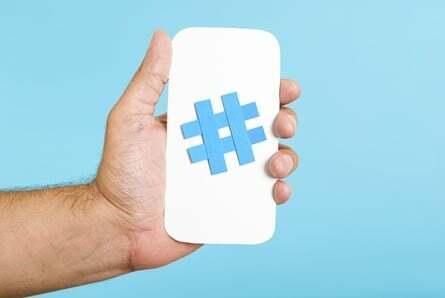 Whether you're hosting an in-person event or an online one like a webinar, one of the best ways to create buzz before, during, and after an event is to establish a hashtag that aggregates the conversations of both attendees and followers who aren't able to attend. When planning your event, start using the hashtag early on in your marketing promotions so it catches on early and people can connect in the months and days leading up to the event. Use it on the event's website or landing page, in tweets about the event, and in email promotions. During the event, make your hashtag visible in collateral like agendas, signage, and on the slides of your speaker's presentations. Ask your speaker(s) to verbally remind attendees of the hashtag they should use when tweeting about the presentation. Following the event, keep the conversation going by making speakers' slides available for download, using the hashtag in your promotion of them. For some best practices to follow when choosing a hashtag for your event, check out this handy guide. Landing pages are an indispensable part of inbound lead generation. But even though a lot of marketers are using landing pages to convert their visitors into business leads, many fail to put the promotional muscle behind driving traffic to them. And if your landing page isn't attracting visitors, what traffic will it have to convert into leads? Enter calls-to-action, the perfect mates for all your lonely little landing pages. Calls-to-action, whether in text or button form, are powerful tools for generating traffic to your conversion-optimized landing pages. If you're not creating them for every single landing page you create, your landing pages will suffer more than just loneliness; they'll also be poor lead generators. Once you create CTAs for your landing pages, use them -- on appropriate website pages, blog articles, in social media, email marketing, etc. Get started creating effective calls-to-action by downloading our free ebook on the subject. Have you noticed all the buzz about visual content on the web lately? There's just no stopping it, and it's taking the internet by storm. Why? Because people love consuming content visually, whether it's through a chart or graph, an infographic, a visualization, cartoon, or just a striking image. So if you've decided to jump on the visual content bandwagon and invest in visual content creation to enhance your marketing, don't forget about visual content's right-hand man: social media. Not only should you be using visual content on your website, blog, or downloadable content -- you should also be sharing them (and making it easy for others to do so themselves) on sites like Facebook, Pinterest, and Google+, where visuals thrive and spread like crazy. And if you need some visual inspiration, here are 55 examples of brands rocking social media with visual content. For many marketers, email is the single most powerful lever at their disposal. This is usually owed to the sheer size of their email list, which most marketers have built up over time into a massive database of contacts. It makes sense, but when it comes to using that list for email marketing, email marketers can be classified into one of two categories: those who segment, and those who do not. It's marketers of the former variety that have happy, healthy, and long-lasting relationships with their email marketing. According to data from the Lyris Annual Email Optimizer Report, when asked to indicate their top three results, 39% of marketers who segmented their email lists experienced higher open rates, 28% experienced lower unsubscribe rates, and 24% experienced better deliverability and greater revenue. Considering those stats, there's no question about it -- email marketing's better half is segmentation. To start sending better email marketing with segmentation, here are 27 great ways to slice and dice your email list. If you have a company Twitter presence, chances are you've needed to shorten a link or two ... or 200. Including links in your tweets is critical for driving traffic (and leads) from Twitter to your website, but with that pesky 140-character limit holding you back, your lengthy URLs will always need some slimming down. That's why tweets and bitly are a match made in heaven. Bitly enables you to shorten any URL, customize links so they're easy to remember and share, and provide you analytics so you can track clicks on your links to evaluate what types of content resonate with your Twitter followers -- and what doesn't. While most inbound marketers do the majority of their marketing on the web, that doesn't mean there isn't room for traditional printed marketing collateral. But the difference between savvy use of print marketing and, well, not savvy use, is that it connects your offline efforts to your online ones. That's why QR codes are such a great marketing tool. They enable you to link your offline print collateral with your online presence through people's mobile devices. You can use QR codes to send people to a relevant landing page, social presence, or other piece of web content, and generate leads as a result. Your printed marketing materials now have a much higher ROI -- that you can track! To learn what you should about using QR codes in your marketing, check out this helpful blog post. Marketers all over are starting to understand that their job doesn't stop once the visitor converts into a lead. In fact, according to Gleanster Research, 50% of leads are qualified but not ready to buy. That means marketers still have some work to do if they want the leads they generate to be sales-ready, and that's why the top marketers are investing time and effort into lead nurturing campaigns that help push leads further down the sales funnel, to a point where contact from Sales makes better sense. So how do you make your lead nurturing efforts more efficient? Through marketing automation! And while marketing automation often gets a bad rap, it's not all bad when done well; and when you use it to nurture leads who aren't yet ready for a conversation with Sales, it can actually be the perfect partner for your lead management efforts. The key is to set up campaigns that trigger the right messages, at the right time, at the right frequency, and to the right leads. To get started with marketing automation the right way, you can download our free guide here. Inbound marketers depend on content to fuel their inbound marketing. In fact, all of the channels marketers have at their disposal rely on content in order to be effective. But content needs some help, too, if it wants to rise to its fullest potential. While content will organically help boost your business' presence in search with little effort, top marketers know that paying careful attention to SEO will help their content be even more successful. They conduct keyword research to identify the right keywords they want to rank for, and they conscientiously use those keywords in their content creation so their blog articles, landing pages, and other web pages get found in search by the prospects they want to attract. So if you're not doing optimizing your content to increase your company's search engine rankings, it might be time to commit. Speaking of content, let's zone in on one of the most common and effective content creation tools marketers can use -- business blogging. Business blogging is a great way to consistently create new content that can power your SEO and other marketing channels. But besides your own promotional efforts to get your prospects finding and reading your awesome blog content, you should also be making it easy for your audience to share and evangelize your content so you can reach a whole new audience -- their networks. For this, there's nothing more compatible than social sharing buttons. You know -- those buttons that enable your blog readers to easily share your blog posts on popular social networking sites like Facebook, LinkedIn, and Twitter. Adding these buttons to your blog (and other content for that matter), will help you expand the reach of your content. And even if that reach extends to people who may never buy from you, the benefits still abound. We talked about SEO in number 9, but if you really want to dominate the search results for your industry and keywords, you'll have to do much more than on-page SEO. Off-page SEO, to which link building (getting other websites to link to your website/content) is central, is much more influential in determining how your website and its content rank in search. That being said, it's also a bit trickier, considering you have less control over it. Well would you look at that! Here comes guest blogging, link building's knight in shining armor! Guest blogging enables you to steadily build up the inbound links into your website in a legitimate, white hat way. While guest blogging does take time and commitment, the long-term benefits will do wonders for your organic search rankings. For a guest blogging for link building how-to, check out this comprehensive guide. Who knew marketing could be so romantic? In fact, we're in the mood for some summer love ourselves. 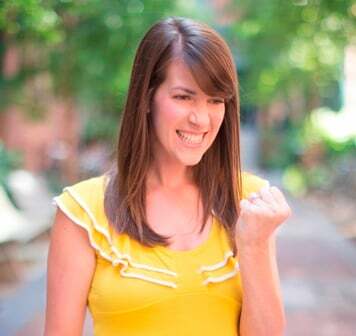 Whaddya say to a 30-day fling with our inbound marketing software? We'd really like to get to know you better. Will you go on a date with us?